This 2-hour lesson, taught by Olde City Quilts staff, will give you the basic knowledge to begin using the computerized longarm quilting system. Lessons are $60.00 per student, 4 - 6 students per class. Supplies are provided at no extra cost. Once you've taken a lesson, you can rent the computerized longarm quilting machine to finish your projects! 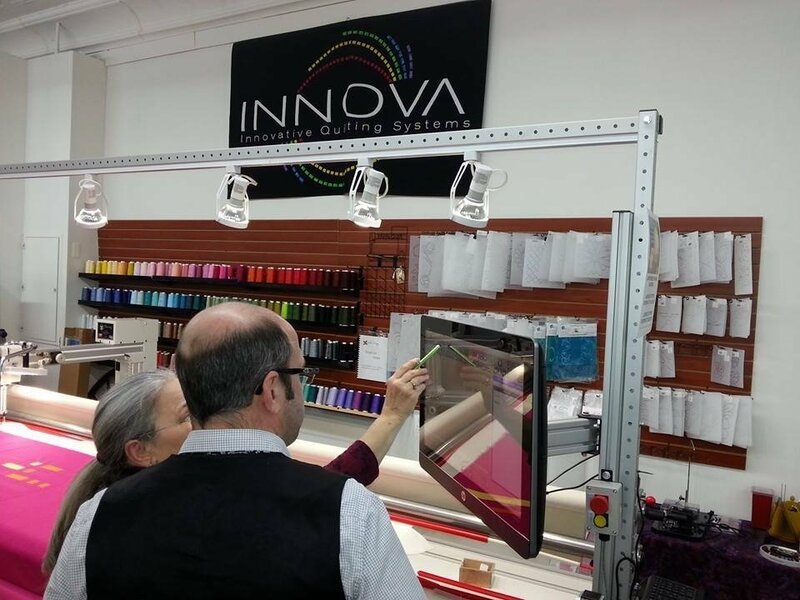 Rental Program Information:In order to rent one of the Innova computerized longarm quilting machines, you must first take the Beginner Longarm lesson and the Intro to Computerized Longarm Quilting lesson. Rental is $30.00 per hour and includes assistance and thread. Preload service is available for an additional $10.00 fee. Preloads must be dropped off 48 hours in advance of your rental time. Call the store to reserve your rental time. Must have taken Beginner Longarm Lesson prior to this class. Call the shop to register at 609-747-0075.